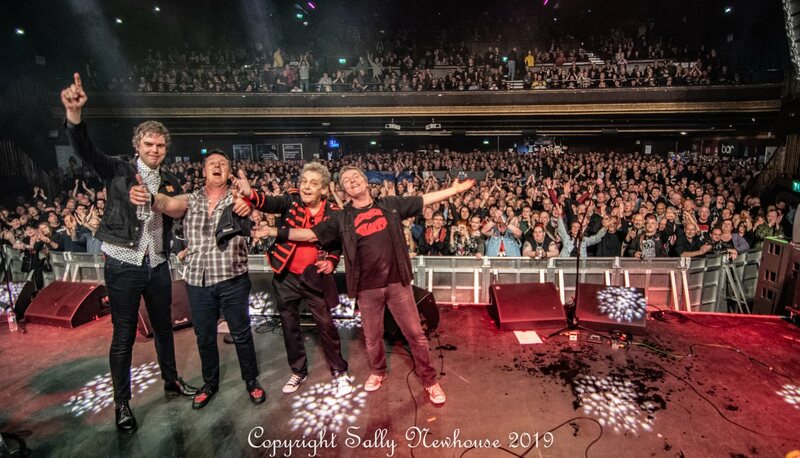 The tour with Stiff Little Fingers came to an end last night in London. What a brilliant night to end the tour! Huge thanks to all of you that came out to join the fun at your chosen venue, thanks to the SLF crew who were great, Rob Warman for being our driver, Jimmy Riddle for just being Jimmy Riddle, the SLF fans for showing their appreciation and Jake and the boys for inviting us on the tour. It was a blast! All leftover tour merch stock is now up in our shop, sizes are limited. Pre-order for the exclusive 13th April show shirt closes on 2nd April. Next stop for Barrie is the Vive Le Rock awards on 27th March where he'll pick up the VLR Pioneer Award and perform a couple of songs with the house band.